Location of the church: in the vicinity of Two Hills and Myrnam.. One acre of land. The church was established on the edge of the town. Originally there were 16 families: J. Chmilar, S. Myskiw, D. Kowalchuk, F. Chmilar, D. Nykyforuk, S. Demkiw, I. Demkiw, I. Chmilar, F. Ludwyk, N. Hryniw, S. Satskiw, N. Satskiw, I. Yakymec, I. Krywiak, I. Trach, M. Kowalchuk. 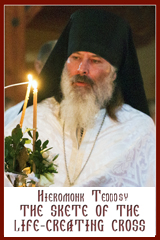 The first Divine Liturgy was celebrated on November 21, 1935 by Fr. Ambrose Wynnyk, OSBM, in the house of Ivan Demkiw. That day a building committee was chosen supported by the Basilian Fathers, under the leadership of Philip Myskiw. 20 members signed up for the new parish and made their donations. Ukrainian theatre plays were performed for the public and the profit was given to the parish. The small church was built in 1936 with the manual support of many parishioners. There was a unique way to collect the money in one specific case: Paul Chmilar, 67 years of age, went to many villages and farmers for 40 days, walked 1,200 km., and collected $225.00 in donations. Unfortunately the building materials burned completely. The people purchased new material and for $700.00 a church was built. Contractors were: M. Kawych and O. Havirko. In 1939 a dome was added. The church was blessed on the First of All Saints in 1937 by Fr. Ambrose Wynnyk, osbm and Fr. Sebastian Shewchuk, osbm from Mundare. The church is no longer in service. Basilian Fathers who served the community were: Fr. Ambrose Wynnyk, Fr. Markian Pasichnyk and others. he Eparchial clergy who provided spiritual support: Fr. Euthymius Melnychuk (1949-1952), Fr. George Maly (1953), Fr. Theophile Hurko (1957- ), Fr. 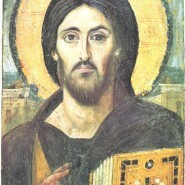 Borys (Paul) Lysak (1968-1975), Fr. Ivan Makuch (1975-1985).